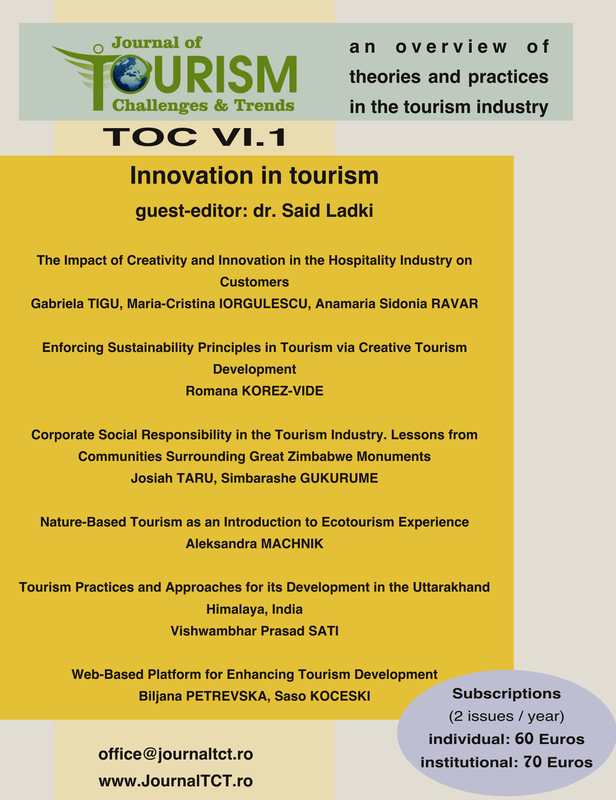 The volume 6.1 of the Journal of Tourism Challenges and Trends will be dedicated to innovation in tourism industry. 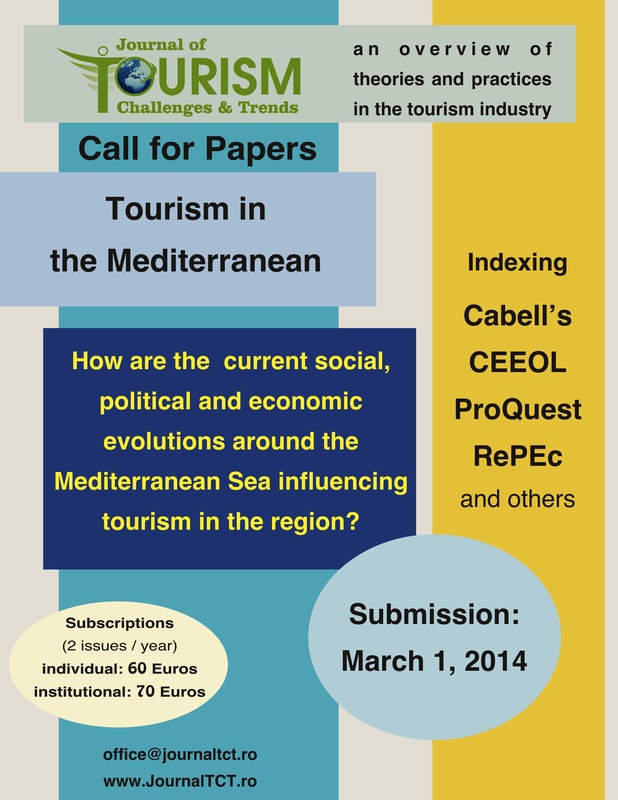 The journal invites academics and professionals in tourism to send manuscripts for publication consideration until the 1st of February 2013. Interdisciplinary approaches are encouraged. Guest editor for this special issue is Prof.dr. Said M. Ladki, Prof. & Chair – School of Business, Lebanese-American University. Additional topics and approaches are welcomed. 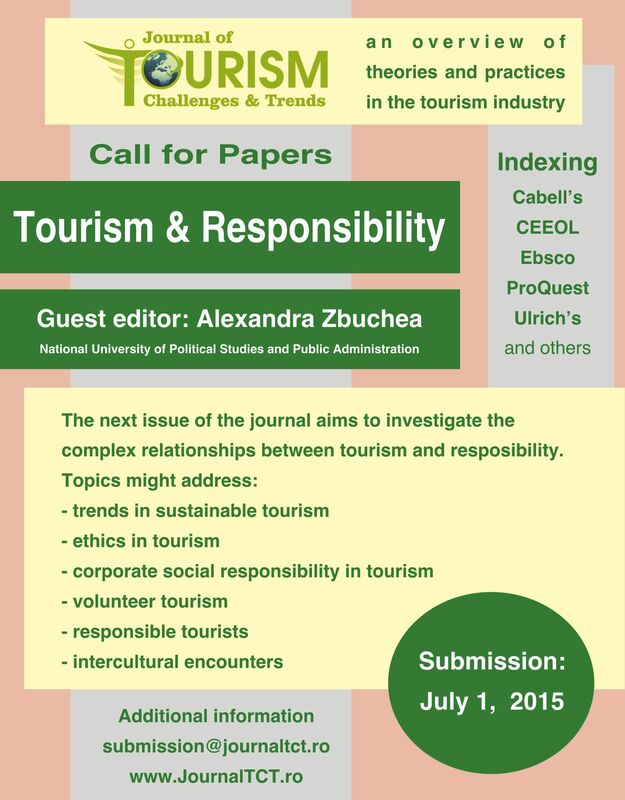 Journal of Tourism Challenges and Trends is an academic, peer-reviewed journal, indexed in several major databases: Cabell’s, CEEOL, Ebsco, IBZ, Questia, Index Copernicus, CIRET, CNCSIS – B+ category and others.